Recently, a leading comrade of ours was incarcerated by the reactionary state for a significant amount of time. Incarceration of revolutionary leadership by the reactionaries is a risk that all revolutionary movements face. Because of this, revolutionary movements should prepare for this unfortunate possibility. Here are some rough guidelines for dealing with incarceration for any significant amount of time. 1. A comrade never betrays the organization, movement, or other comrades whether she is incarcerated or not. A comrade does not become a traitor under any circumstances, even under the duress of incarceration or worse. A comrade holds out at all costs, even under torture. 3. A comrade automatically resigns from all of her leadership positions within the outside organization while incarcerated. The state has a long history of using torture and coercion to manipulate incarcerated comrades, especially leaders. The state has a history of creating forged documents and orders purporting to be from incarcerated leaders in order to disrupt revolutionary organizations on the outside. To prevent this, those in prison or otherwise incarcerated are not allowed to lead the outside organization or outside movement. 4. 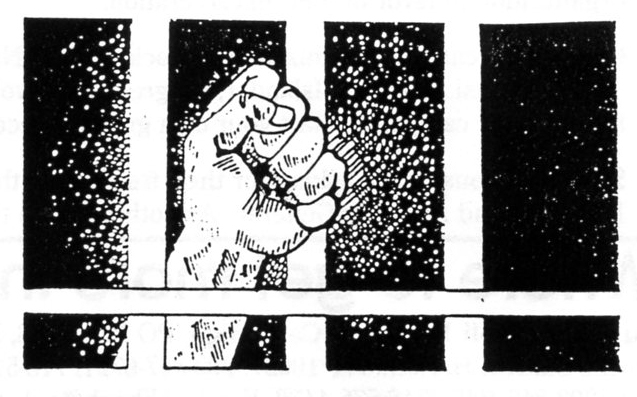 Incarcerated comrades can continue to lead and organize on the inside. They are encouraged, but not obligated, to do so. It is up to the incarcerated comrades to make their own analysis of the situation on the inside. They will know better than others what they can and cannot do without jeopardizing themselves or the movement while incarcerated. 5. When a comrade is released, the outside leadership will determine how and at what level she should re-enter the organization and movement. The comrade should respect the decisions of the leadership on the outside. 6. Comrades should avoid incarceration, even if they think it is “no big deal.” Comrades should not pick unnecessary personal fights with those in power and risk incarceration or longer sentences. Even if an individual does not mind acquiring a contempt of court charge, for example, by doing so, she puts the broader movement at risk. Comrades should play it smart. They should play the system when they can. 7. Comrades should use common sense. Loose lips sink ships. 8. If a long-time comrade is incarcerated for a significant amount of time, the organization should attempt to provide the comrade with at least a minimal amount of support — even if that means merely ordering the comrade reading materials or putting credit on her commissary. Small things are important when one is incarcerated. A little goes a long way toward making life a bit more bearable in prison. Whether or not the organization or movement can provide support to its prisoners obviously depends on many factors, including security ones. 9. If you do find yourself incarcerated, try to stay strong and healthy. Try to eat and exercise. Keep your spirits up. You are not forgotten.